Online retailing has always had trust issues because of the absence of face-to-face contact and other contextual factors that usually enhance confidence in an exchange. Over the years, institutional credibility solutions such as external certifications, user reviews, and brand building activities have helped to build trust in virtual environments, resulting in the recent rapid growth of e-tailing. With the advent of Web 2.0, and especially social networking sites, firms are looking at new avenues to connect with consumers. 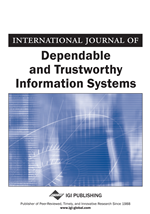 This paper compares trust levels and more specific aspects of trust across various items related to institutional credibility and community. The data suggest that users perceive differences in websites and that these perceptions influence their trust in those sites. As background, we will consider the literature regarding trust, both in general and more specifically applied to commercial exchanges, especially virtual relationships. As might be expected, a lot of the conceptual basis of trust theory came out of sociology (Gambetta, 1988). Trust is encompassed in interactive exchanges in which both parties look to benefit, relies on expectations about behavior (and the follow-through on that behavior), and often builds over time through repeated interactions (Garfinkel, 1963). Context is important, as environmental circumstances and situation matter (Baier, 1986). And the repeated interactions in a specific relationship can lead to trust-based routines between opposite parties (Giddens, 1991). Specific applications to business include organization-to-organization and organization-to-individual transactions (both typically commercial) as well as internal organization-to-individual relationships (e.g. human resources). With the advent of Web 2.0, individual-to-individual relationships are now also of interest. When the context is business-oriented, trust is typically modeled more rationally than in some other applications. The rationality is approached from the perspective of individuals or organizations assessing how their self-interest is improved by an exchange (Coleman, 1990). If a relationship can be built upon repeated exchanges, then trust can enable reductions in transaction costs. The result can be tighter cooperation and increased efficiency. The benefits can be weighed against the potential costs of vulnerability when trust is extended to complete a given exchange (Axelrod, 1990).